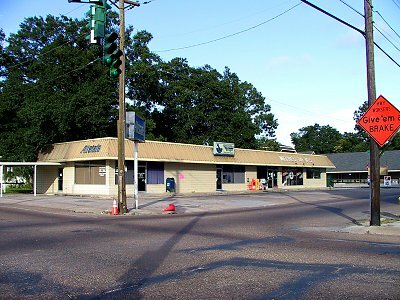 (Northeast corner of street) Small strip center housed what was the first "modern" long-hours convenience store I remember in New Iberia, of a now-defunct chain called Phi-A-Sak. Today tenants include Meche's Doughnuts, making this a dicey intersection in the morning when sugar-crazed drivers maniacally wheel in and out of the parking lot. Beautiful marble building erected in the 1960s by what was at the time Iberia Savings and Loan Association, included installation of a statue of Hadrian (detail below), still a point of civic pride for New Iberia; the building is now called the Hadrian Building. 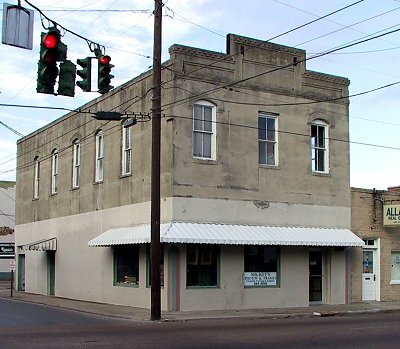 The thrift evolved into Iberia Bank, which still has a branch in the building but whose main offices today tower over an otherwise largely wretched patch of suburban clutter I refer to as Brand New Iberia. 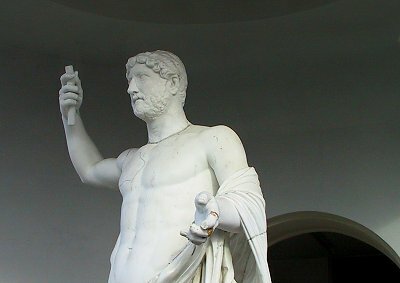 Detail: Statue of Hadrian. Back when this piece of art was erected in New Iberia, a few of the more historically well-versed whispered to those who like a naughty tidbit that Hadrian had had a legendarily famous homosexual relationship with a certain Antinous Antinous. Two buildings the span Church Alley. 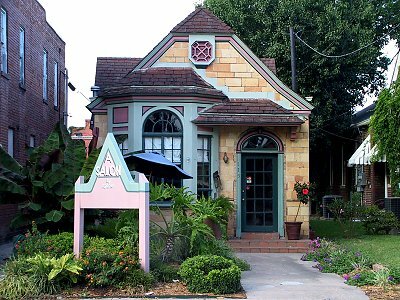 A wonderful little cottage, now a hair salon. 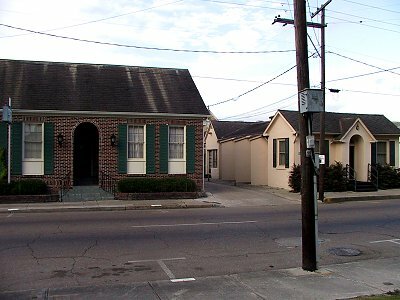 The last remaining operating Wormser's store, for men and young men. 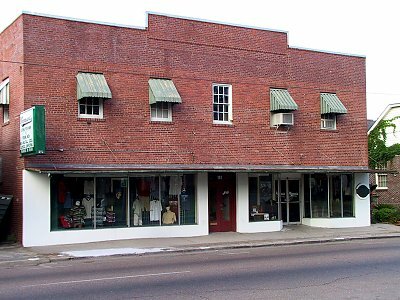 An earlier men and boys store operated here in my high school days, and was where the groovy frat boys would shop exclusively; you could get those pastel shirts and matching socks. 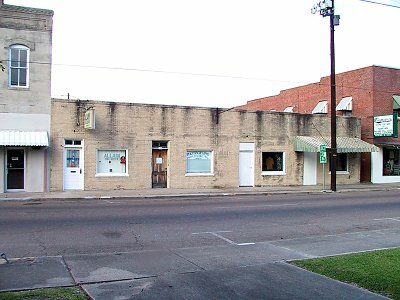 A nice old corner building that houses a fame shop and photo studio. There was a camera store here in the 1970s.